The world’s largest semiconductor company which aimed to create bold advancements in technology that lead to positive change and a better, more interesting world, Intel, has announced plans to release an innovative technology which designed to prevent theft of laptops, named as Intel Anti-Theft Technology (ATT). 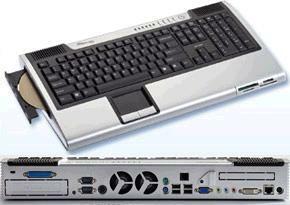 USB 2.0 port on PC or laptop can be used for data synchronization and files transfer. Besides, it is useful for charging any portable device by simply sourcing current from the motherboard for continuous operation. However, in order to keep up the power of the devices, there is a need to maintain the laptop in power on condition, regardless if you need that to be on or not. This is not always practical as you will end up drawing more current from both devices which is not in need. Now, there is a better solution from Toshiba to be able to continue the device charging even the laptop is put into hibernate or shut down mode. Named as Sleep and Charge USB port, it is similar to conventional USB 2.0 host port but with additional capability of charging external devices even the laptop is in power off mode. Intel has just unveiled a new technology that can enable two independent network connectivity through a single WiFi network adapter during recent IDF (Intel Developer Forum) held in Shanghai. Within a single network module, there will be an additional functionality being added in which it will be able to link normal PC at home to wireless router and at the same time setting up another network link that can be used to create a PAN (Personal Area Network) to link both together for seamless connectivity at home. The well-known Taiwanese technology-oriented company, Asus has recently announced the launch of the new ASUS Eee PC pre-installed with Microsoft Windows XP, which aimed to let users enjoy an efficient online and work management experience with the incorporated Windows Live and Microsoft Works features. The leading global enabler of communications services, Nokia Siemens Networks has announced the launch of its downlink Dual Carrier EDGE (Enhanced Data for GSM Environment) software solution, which able to double the data speeds on existing EDGE-capable GSM networks up to 592 kbps, aiming to enable a mobile broadband experience. 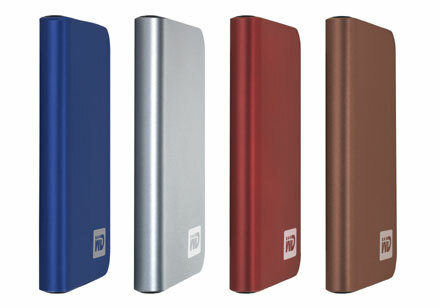 The well-known manufacturer of a large proportion of the world’s hard disks, Western Digital has recently launched a new line of external/portable USB drives, named as My Passport Elite, which weights less than 5 ounces, aiming to make it easy to carry the important files and e-mail between work and home or on the road and keeping them in sync.